Jonah Hill will be back in Oakland this weekend but this time as himself and not Paul DePodesta. For some reason actor Jonah Hill and "Star Wars" just seem to go together. This weekend the Oakland Athletics will make it official when the team hosts Jonah Hill, who appears in the A's biopic "Moneyball," at the Oakland Coliseum on Sunday and Friday the A's will have a post-game fireworks show inspired by "Star Wars." At Friday's A's-Tigers game, the team will have characters such as Darth Vader, Anakin Skywalker, Princess Leia, a Jedi Knight, a Rebel Fleet Trooper, Stormtroopers and Sandtroopers greet fans at the stadium. After the game, the A's will have a fireworks show inspired by the classic movies. Sunday the Hollywood theme will continue with Hill in attendance of the afternoon game between the A's and the Tigers. 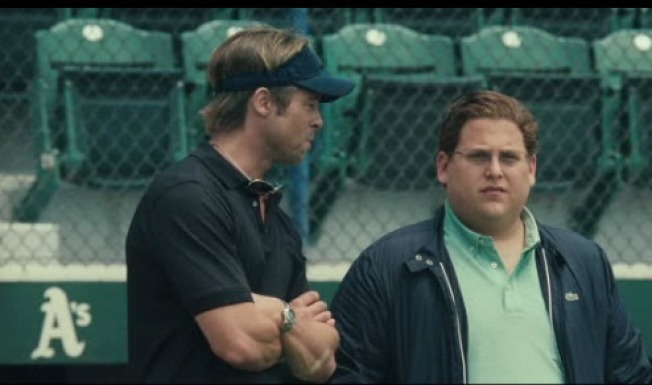 Fans who purchase a $26 field level ticket on the A's website for Sunday's game will be given a voucher to see "Moneyball" when it opens in Bay Area theaters. They will also be that much closer to shaking the fake Paul DePodesta's hand.